Could you use an easier bedtime? nurtures family connection in just 7 minutes? Feel the calm and confidence of bedtime done well. A bedtime that gets the kids to sleep and one that nurtures family connection in just 7 minutes? Download this guided meditation just for children plus an illustrated book. 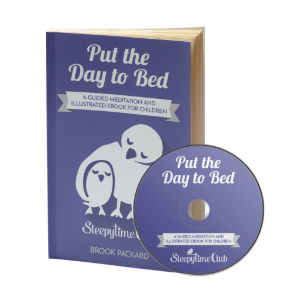 This free guided meditation for sleep and illustrated book will get the kids to sleep naturally…and FAST. “Put the Day to Bed” helps children make an easy transition to sleep with guided relaxation, releasing the events of the day while placing them on a cloud ship for safekeeping. Print out and read the book together, connecting at bedtime in a meaningful way. You’re done in less than 7 minutes. “Put the Day to Bed” is a simple addition to your bedtime routine if you’ve got one or a good place to start if you don’t. More books, journals, and recordings for happy good nights can be found at the Sleepytime Club Etsy Store. 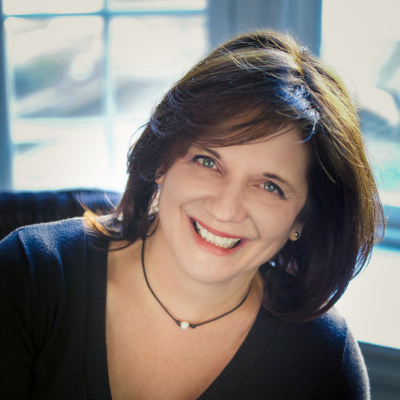 I’m Brook Packard, an early childhood music specialist, mom, and a storyteller with a mission: making bedtime irresistible. Bedtime is the first, best habit. When you get that ritual down and sleep follows for you and your child, everything else falls into place. I use my skills as a Gaia Women’s Leadership certified life coach to get families in the bedtime habit. An intentional and pleasant bedtime routine is the cornerstone of better sleep. Better sleep means better health, happiness, and success. The “Put the Day to Bed” guided meditation is one of those pleasant routines that become a lifetime habit. It’s free and it works. You can read more about me and Sleepytime Club on the “About” page by clicking here. Illustrated book and guided meditation.